The exhibit featured a total of approximately 30 ensembles from the designer's couture collections, as well as from his pret-a-porter (ready-to-wear) line along with their accessories. Created between 1970 and 2010 a majority of these pieces have never been exhibited. Sketches, stage costumes, an excerpts from films, runway shows, concerts, dance performances, an televised interviews provided a look into this couturier's world, exploring how his avant-garde fashions challenged societal and aesthetic codes in unexpected, and often humorous ways. 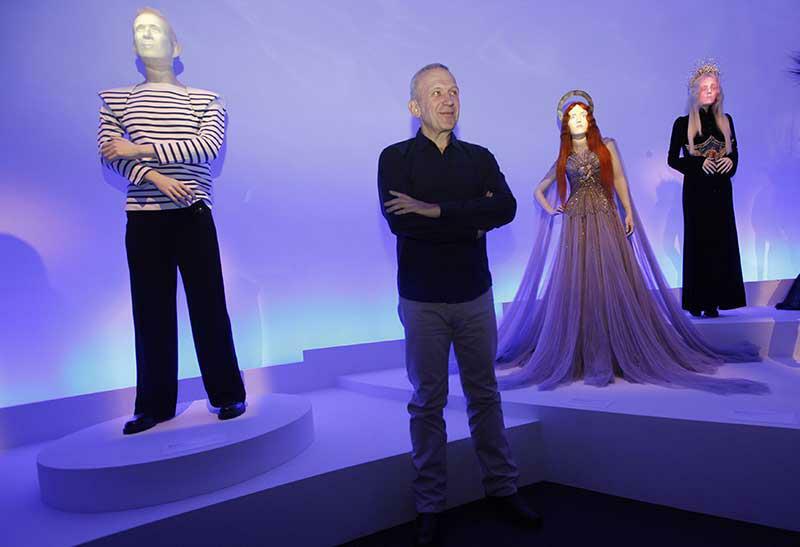 Placed throughout the galleries, 30 animated, talking mannequins (including one of Gaultier) added an extra dimension to the lively atmosphere with their life-like presence and spontaneous commentary.